It was interesting looking at the recent proposals for Aberdeen Avenue. Ward 1 Councillor Aidan Johnson is to be strongly commended for trying to improve this important residential street. 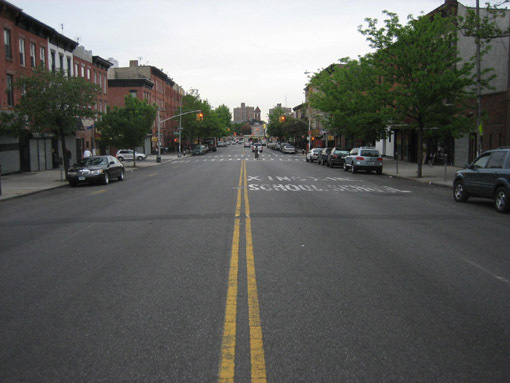 Although well-meaning, one common flaw that the current proposals all have in common is a failure to eliminate rat-running "cut-through" car traffic on this street. As a result, it is unfortunately easy to predict that although these proposals are certainly an improvement, they will still leave Aberdeen Avenue an unpleasant and unsafe street. It is also easy to predict that these proposals will not lead to any significant transportation mode shift away from car driving, which poisons and kills 93 people in Hamilton each year. Which gives rise to the question: How would the Dutch do it? What would Aberdeen Avenue look like if it was in a city in The Netherlands? 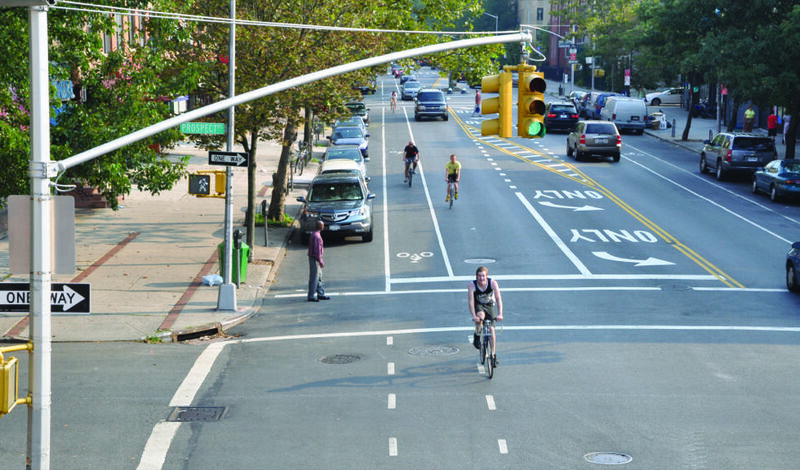 How do we Go Dutch on Aberdeen Avenue? Before the 1970s, cities and streets in The Netherlands were increasingly car-dominated, just like Aberdeen Avenue and Hamilton today. Let us imagine today's Aberdeen Avenue as part of a car-dominated Dutch city in the 1970s. How would it have been changed since then? And can we make the same changes too? In moving from the 1970s to today, one key part of the Dutch Sustainable Safety model is the systematic elimination of rat-running on every residential street. Residential streets can host through traffic for walking, cycling or public transit - but never for car drivers. This serves two fundamental goals. The first is that it makes residential streets and residential neighbourhoods safe and pleasant places for the people who live there, particularly for children. The second goal is that it helps promote mode shift by making walking, cycling or public transit the fastest, easiest and most convenient way to travel on more trips from A to B. So how do we eliminate rat-running on Aberdeen? The Dutch model is to take a holistic view of transportation and land use planning. This means that we do not look at Aberdeen Avenue in isolation but as part of a complete transportation network for the city as a whole. The usual way of doing this is to implement a "Neighbourhood Strategy." The way that this works is that for each residential neighbourhood, people walking, cycling or using public transit can travel straight through. But anyone who chooses to drive a car must drive out to the peripheral ring road, drive around the city on that ring road until opposite their destination and then drive back in again. This method is demonstrated for the city of Groningen at 2:10 to 3:45 in this video. Hamilton also has a peripheral ring road in the form of the Highway 403 / Lincoln M. Alexander Parkway / Red Hill Valley Parkway / Queen Elizabeth Way highway ring around the city. That is precisely where residual cut-through motor vehicle traffic would be placed in the Neighbourhood Strategy model, not rat-running through residential streets. This Neighbourhood Strategy can be used to systematically eliminate cut-through car driving from every single residential street in Hamilton. Let's look at Aberdeen Street in particular. So how would a Neighbourhood Strategy work on Aberdeen? As we saw in the summer of 2013, an effective way of doing this is to prevent car drivers from using the notorious Beckett Drive rat-run. The ecologically sensitive Niagara Escarpment is also a logical Permeable Filter zone through which walking, cycling and public transit may be allowed, but not car driving. Repurposing the Beckett Drive rat-run for people, not cars, also has the effect of removing dangerous rat-running car traffic from Queen Street, another residential street. Aberdeen Street in Durand Neighbourhood east of Queen Street has a Permeable Filter preventing rat-running car drivers from cutting through to James Street. By removing cut-through car traffic, Aberdeen Street in Durand has become a pleasant and safe residential street. Looking around at Aberdeen Street in Durand, it becomes quite obvious how rat running was eliminated from this street. We are in the ultra-wealthy mansion district. Yes, rich people love their children and want to live on safe and pleasant streets. The millionaires who live on Aberdeen Street in Durand used their clout to reclaim their street from car drivers. I certainly do not blame them! I just want the same street safety for the families of the not-quite-so-rich people like myself. In Durand, the ultra-rich changed Aberdeen Street to be for people, not cars. They changed Aberdeen in Durand, we can also change Aberdeen in Kirkendall! Aberdeen Street in Kirkendall can be made to look like Aberdeen Street in Durand by repurposing the Beckett Drive rat-run and removing cut-through car drivers. Next, by using the Neighbourhood Strategy, every single residential neighbourhood in Hamilton can be made a safe and pleasant place to live by systematically eliminating dangerous cut-through rat-running car traffic. Edit: I expanded this comment into an article. you're absolutely right. I confused some people on twitter recently when I sarcastically commented that Terry Whitehead's twitter account must be a parody account. The fact that people weren't sure if I was joking or not is all you need to know about the level of common sense and vision at Hamilton city hall. Imagine the guy from Brooklyn being here for a month to see how things really are? The only Brooklyn we're trying to be is the depressed car-centric version from the 70's. There was even a lawsuit against the city from residents who wanted to maintain the dangerous freeway. But they did the right thing, which is how a city goes from being an overlooked dump to one of the top cities in America. Here, a few seniors at Westcliffe Mall complain to their councillor and we try to block all progress. I live on the section of Aberdeen that's east of Queen. It was the Durand Neighbourhood Association that led the charge on the bump-outs on Aberdeen, a stance I supported fully. Prior to bump-outs, the traffic was two lanes of high volume and high speed. After the bump-outs, the traffic is now one lane, but still of high volume, mostly during the morning rush hour. People still use this stretch of Aberdeen to get to Bay Street and then down Bay to Main or King. I should point out that the City wanted to install concrete bump-outs. Residents said they didn't want all that concrete and asked for planters. The only way the City would agree to planters is if the residents agreed to install plants and maintain the bump-outs, which we did and do every year. The City did provide the soil. As to the "ultra-wealthy" descriptor, I'll just leave that label alone.